Decorating your office with plants doesn’t have to be restricted to the indoor areas of your workplace. If your office has a balcony, why not extend the beauty back to the outdoors and fill your balcony with beautiful blooms? Whether your balcony is used as a relaxation area, or just simply somewhere staff can look out onto from their desk, plants and flowers can have a great effect on both your mind and your health; who doesn’t love looking at a beautiful bouquet of flowers and feels better for it? If you are looking to fill your balcony with fragrant flowers, there are a few things that you need to take into consideration before you head out to buy armfuls of beautiful plants. 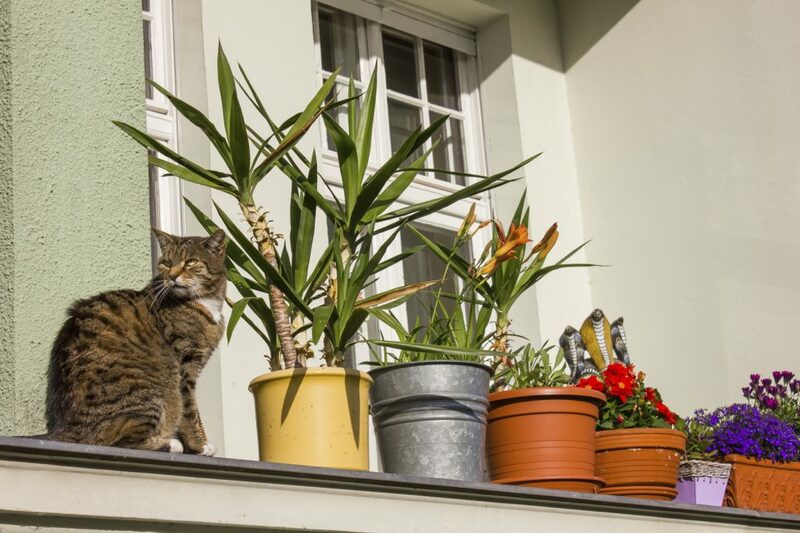 Balconies can tend to be quite restricted when it comes to space, but this doesn’t mean you have to restrict yourself with smaller potted plants. Try to make use of the vertical space as well as the horizontal space you have available. Putting up a trellis and placing plants which will creep up the structure as it grows is a great way to incorporate more plant life in a small amount of space. 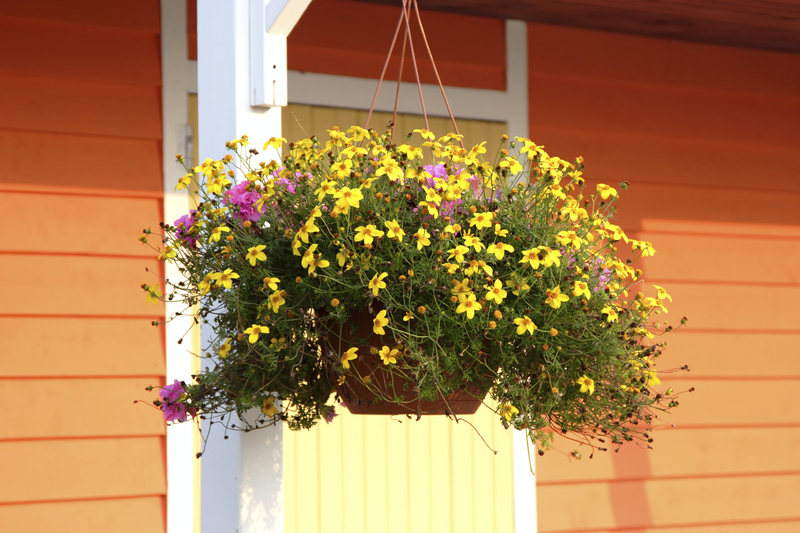 You can also add a series of hanging baskets to make use of any walls or ceiling spaces that you may have access to on your balcony. They are a handy way to add a rush of colour to your environment without taking up a lot of vital space as they are suspended in the air. When choosing plants for your balcony, you need to take into account the location that your balcony is situated. Is it windy? Will your plants be in the shade or the sun? This can greatly impact what plants you use and how you design the layout of the flowers and plants on your balcony. 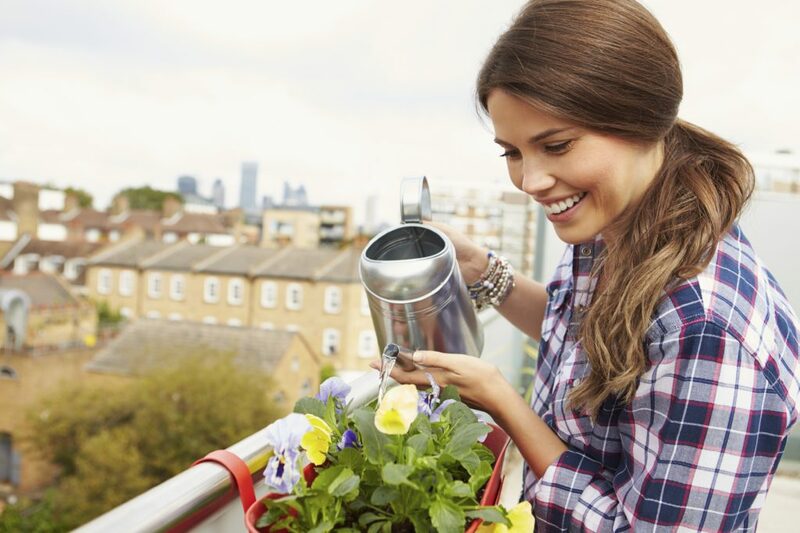 As balconies are above ground level, they tend to be warmer all year round than plants that are planted in the ground, which means they are more susceptible to heat and may wilt a lot faster if they aren’t cared for properly. Because of this increased temperature, you may find that flowers may bloom earlier than normal while on your balcony. You also need to be aware that the elements will still affect your plants, even though you may feel like it more sheltered on your balcony. Take care to secure pots and plants to make sure that they will stay in one place, especially when the windy weather arrives. Just like most other plants, your balcony will need to be provided with water to make sure that you can enjoy them for longer. You need to ensure that you are aware of how much water a plant will need to be able to survive to its fullest potential. Some flowers need careful attention when it comes to helping them survive, and some can take care of themselves and will hardly need any interaction from you to thrive. If you are looking for plants which don’t need much in the form of looking after, try looking for cacti, crassula and echeverian aloe. They are very hardy plants which are able to survive with very little interference and can provide an attractive green element to your balcony. What Plants Should I Use? Taking into account all the tips that we have listed above, it’s important to know which plants will thrive on a balcony. We’ve put together a list of some of our favourite balcony plants for you to choose from, but it’s important to note that all balconies will be situated differently, so make sure you research if a plant will successfully thrive in your balcony’s environment. And there we have it! Our comprehensive guide to balcony arrangements! We hope that you’ve picked up some handy tips and ideas for transforming your office balcony! 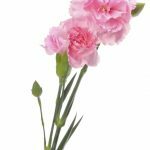 As providers of beautiful corporate flowers, Jungle World are dedicated to providing the very best office flowers for your business. 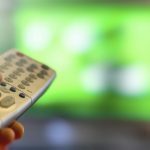 If you would like more information on our services, contact us today by phoning our fantastic team on 0208 968 8190 and we will be more than happy to help you with your enquiries.